Back To School (well, sorta…)!! Guys, I’m so excited! I’m signed up for Gertie’s Sewing Plus class at The Sewing Studio and I can’t wait! It’s a four-week class for intermediate sewers, and you get to choose what project you want to work on. Now, I’m not really an intermediate sewer, but I’m hoping to pick up some skills that will bump me up to the next level (and maybe a little closer to that designation). Here’s the tricky part– choosing my project!! McCall's 5995... almost too cute for words!! 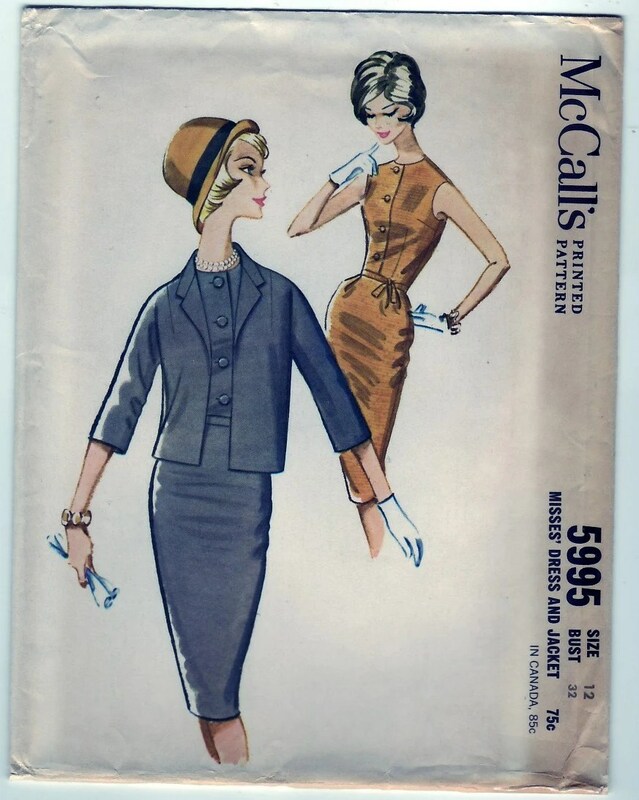 First up, the super adorable vintage McCall’s 5995! It’s a fitted, sleeveless dress with a three-gored skirt (with optional lining, which I would add). My pattern is a bit too small for me, so I would need to do some grading to get it to fit properly. Another option is vintage Advance 8295. This is a sleeveless sundress with shoulder ties and buttons down the left side. It has a box-pleated skirt and a gathered bodice. This is really cute, but it doesn’t offer as many opportunities for learning, so I’m less inclined to make this one as my class project. The Eclair by Colette Patterns... yum! I’m also considering the Eclair dress by Colette Patterns. I don’t wear many strapless dresses, and honestly, it’s a little fancier and more cupcake-y than what I usually wear, but I like the fact that I would be able to practice lining and boning (holy cow, I really don’t want to think about how many people must stumble onto sewing blogs when they’re looking for… something else) under the supervision of an experienced seamstress. And it might be fun to look like a fluffy, sugary treat for a change (instead of my normal wardrobe that usually leaves me looking like I play for the Bad News Bears)! Any other ideas? The first two are patterns that I have in my stash, but I’m definitely open to suggestion! What do you think? My first class isn’t until July 24th, so I have a little time to agonize decide! Personally I’d pick the pattern that enables you to learn the most. I’d take advantage from the fact that there’s someone around who can teach me difficult things. It would be a shame to go for something that you could’ve learned by yourself. Pure style-wise, though, I think the second pattern is absolutely gorgeous! I love the Advance, too! I think I’m going to have to make it on my own (whenever I find a fabric that I love that I can afford to buy 6 yards of!). Wow, I’m so jealous…it will undoubtably be an amazing experience for you! I think you’ll probably get the most out of a pattern like the McCall’s which is more tailored etc. Whatever you decide to make though, I’m sure you’ll get an awful lot out of Gertie’s class! Ooh, that’s a good point. I’ll really get to work out my fitting skills with the McCall’s! I think that’s what I’ll end up making, unless I run across an even more swoon-y pattern between now and the first class! Go for the McCall’s – it’s super cute and the tailoring skills you’ll learn will be transferable to other projects. You’re going to have so much fun hanging out with Gertie and fellow sewists – good for you! I actually took my “Learn to Sew” class at the Sewing Studio in Toronto 2 years ago. The owner, Denise, is from Toronto and recentley (maybe a year ago?) opened shop in New York. My instructor was great, but she was not Gertie! I’m looking forward to reading about your adventures. Wow, you’ve really learned a lot in two years! You sew like a pro! This is so exciting! I am very jealous that you get to take a class with Gertie. She is a genius! I would choose the pattern that you’re most likely to wear more than once after you’re finished with it. No use putting a ton of effort into something you won’t have the opportunity to wear a lot! I’m excited to see what you make during the class! That’s more good advice! I really like the Eclair dress, but it’s sort of hard to see myself wearing it very often. Gertie is incredible! I’m super, super excited! I’m also jealous that you get to take a class with Gertie! 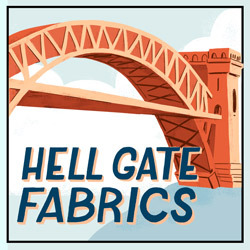 I’d love to be able to take an actual sewing class in-person, but it just doesn’t seem to be feasible for my area (except for the make-a-certain-project type ones at Joann’s, but I tend to already know how to make those things.) Guess I’ll have to stick with Pattern Review. I’m going to cast my vote for the McCall’s as well. The Colette patterns one is cute, but if you’re going to put that much time and effort into it….if it was me, I’d want something that I could wear and love all the time. Plus I agree with what was already said about working out the fitting. That’s something that’s hard to learn how to do on your own (trust me), and it’s good to have another set of eyes to see what you might miss there. Especially belonging to someone who has an idea of how to make it better! Honestly, that dress looks like it might be fitted and basic enough that you could even use the bodice pattern as a sloper of sorts, once you get the fitting worked out. Which would make it easier to fit other patterns later on, having something that you already know fits to compare it to. 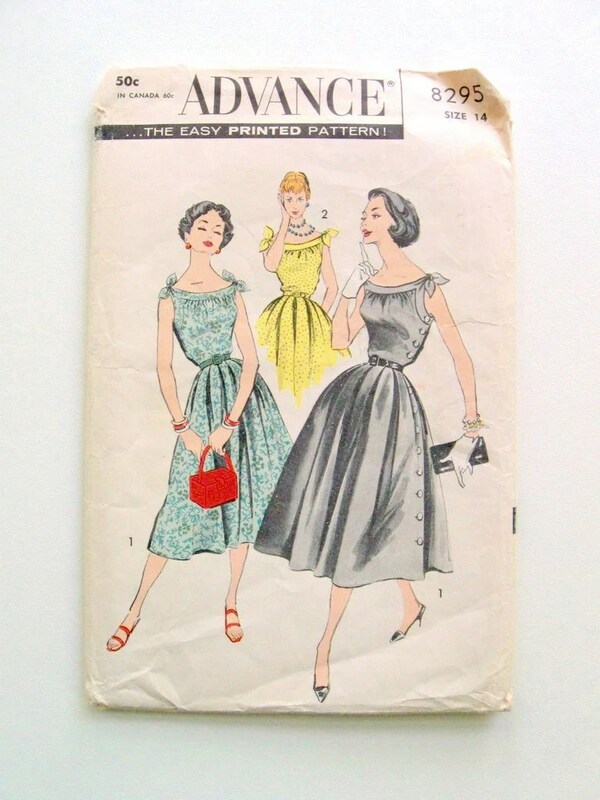 Ooh, I hadn’t even thought of the possibility of using the bodice as a sloper! That’s a great idea! It’s easy to imagine altering the neckline a little or adding details to change up its appearance! Gertie’s video classes are supposed to be up soon– that sounds like fun (particularly when I’m hearing rumblings of a strapless 50s bombshell dress… ooh la la! )!